Her Excellency Marina Kaljurand, Ambassador of the Republic of Estonia to the United States and Mexico, and The Honorable Sten Schwede, Consul General of the Republic of Estonia in New York City, traveled to Florida’s west and east coasts on February 21, 2014 and February 24, 2014 to officially open two Honorary Consulates of the Republic of Estonia. Florida is the nation’s fourth most populous state—soon expected to be third—and a popular draw for education, cultural programs, tourism and business development. Florida’s large territory is now divided into two consular regions with St. Petersburg serving northern counties and Miami serving the south. Members of the Estonian Society of Central Florida (Kesk Florida Eesti Selts) and Estonian National Association of South Florida (Lõuna Florida Eestlaste Selts) participated in both ceremonies. 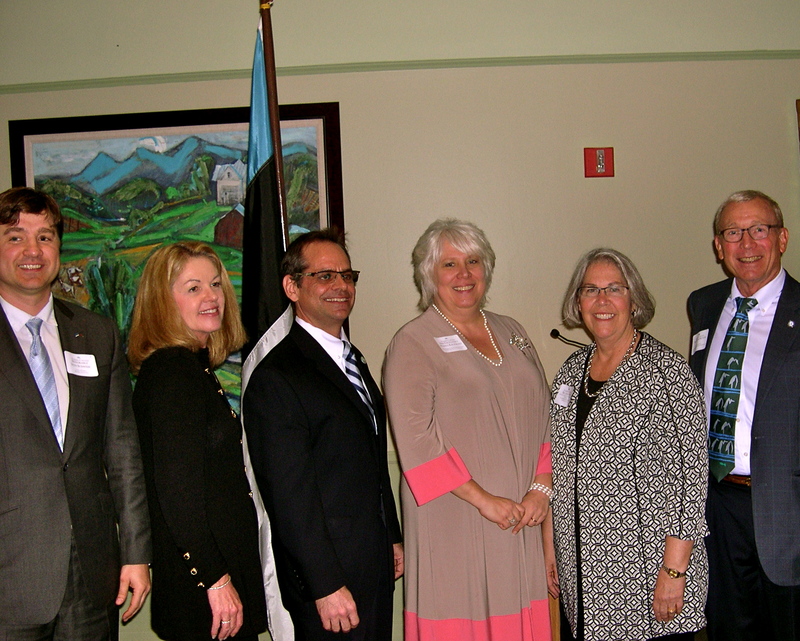 Lisa A. Mets, Honorary Consul of the Republic of Estonia in St. Petersburg, Florida, hosted the formal luncheon program in the President’s Dining Room at Eckerd College on February 21, 2014, attended by members of the Tampa Bay Consular Corps, Eckerd College Board of Trustees and the Pinellas County Commission; Eckerd College Deans, Vice Presidents and students; and the leadership of the Estonian Society of Central Florida and the Estonian National Association of South Florida. Ambassador Kaljurand officiated during the ceremony transmitting to Estonian Honorary Consul Mets the Letters Patent issued by Estonia’s Minister of Foreign Affairs. Dr. Donald R. Eastman III, President of Eckerd College, Dr. Peter Betzer, President and CEO of the St. Petersburg Downtown Partnership, Mr. Chris Steinocher, President and CEO of the St. Petersburg Area Chamber of Commerce, and Mr. Art Savage, Dean of the Tampa Bay Consular Corps, offered words of welcome and underscored the spirit of collaboration Estonia may expect in its relationship with Eckerd College, the Tampa Bay region, and north Florida counties, in the development of programs promoting educational and cultural exchange, tourism and business opportunities. The Honorary Consulate is located at Eckerd College, where Honorary Consul Mets is Vice President and Secretary of the College. 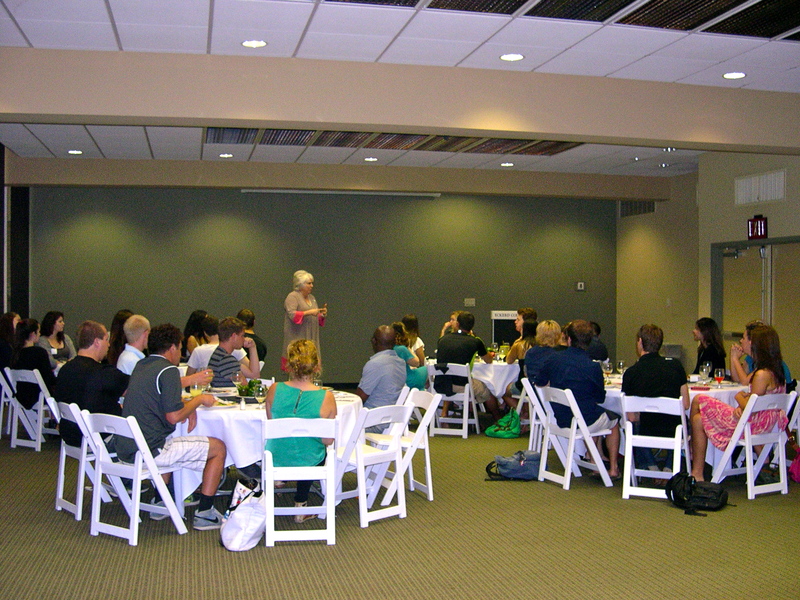 Following the ceremony, Ambassador Kaljurand participated in a seminar with Eckerd College students majoring in International Relations and Global Affairs and Political Science. In the evening, the Ambassador, Consul General and members of the Estonian community attended the sold-out 1700-seat Van Wezel Performing Arts Hall performance of the Sarasota Orchestra under the baton of the orchestra’s new music director and conductor Ms. Anu Tali; a reception followed with Ms. Tali and her Estonian fans. The Estonian Society of Central Florida’s celebration of the 96th Anniversary of Estonian Independence in the Countryside Country Club (Clearwater, FL) on February 22, 2014, concluded the diplomats’ program on Florida’s west coast. (For more information, please see floridaestos.wordpress.com). Participation by Ambassador Kaljurand and Consul General Schwede in the Estonian National Association of South Florida’s celebration of the 96th Anniversary of Estonian Independence on February 23, 2014, in the Atlantis Country Club on the east coast launched Day 3 of the diplomats’ honorary consular activities in Florida. Jorge L. Viera, Honorary Consul of the Republic of Estonia in Miami, Florida, hosted the official opening ceremony of the Estonian Honorary Consulate in Miami in an evening reception sponsored by BAC Florida Bank on February 24, 2014, in the BAC Florida Bank located in the Colonnade Building, Coral Gables. Mr. Burton Landy, Esq., of Akerman & Senterfitt and Honorary Consul of Korea, introduced the evening’s program and welcomed guests from the Miami Consular Corps, Past Presidents of the Florida International Bankers Association, officials of the City of Miami and the United States Department of State, distinguished members from the local business community, and the Directors of the Estonian National Association of South Florida. Three Estonian Honorary Consuls also attended the ceremony: Mr. Jaak Treiman, representing Southern California; Mrs. Irja Cilluffo, representing New Hampshire, Maine and Vermont; and Ms. Mets, representing the north Florida region. 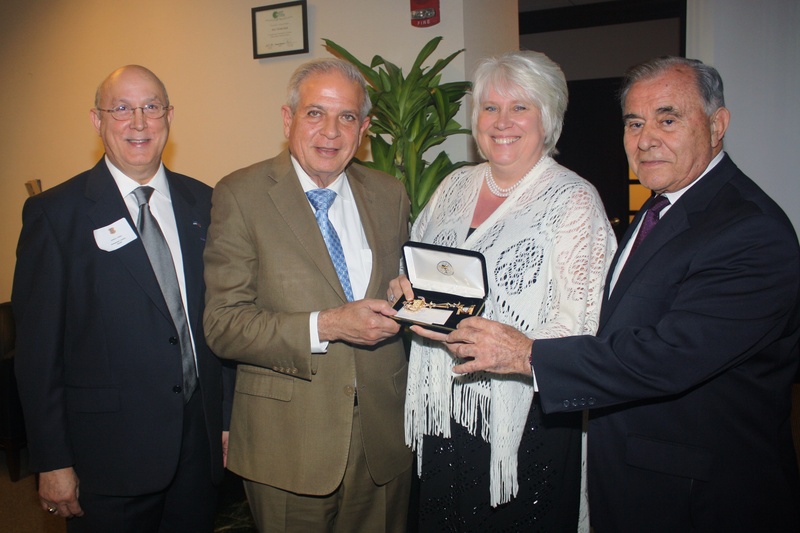 The Honorable Tomas Regalado, Mayor of the City of Miami, presented the Key to the City of Miami to Ambassador Kaljurand. Commissioner Willy Gort, Chair of the Commission, presented a Proclamation to Consul General Sten Schwede declaring February 24, 2014 as Estonia’s Independence Day in The City of Miami. Ambassador Kaljurand officially transmitted the Letters Patent issued by Estonia’s Minister of Foreign Affairs to Honorary Consul Viera. The Estonian Honorary Consulate is located in downtown Miami. Prior to his recent retirement from Northern Trust Bank after more than 33 years, Mr. Viera served as Senior Vice President and Manager of the International Division. 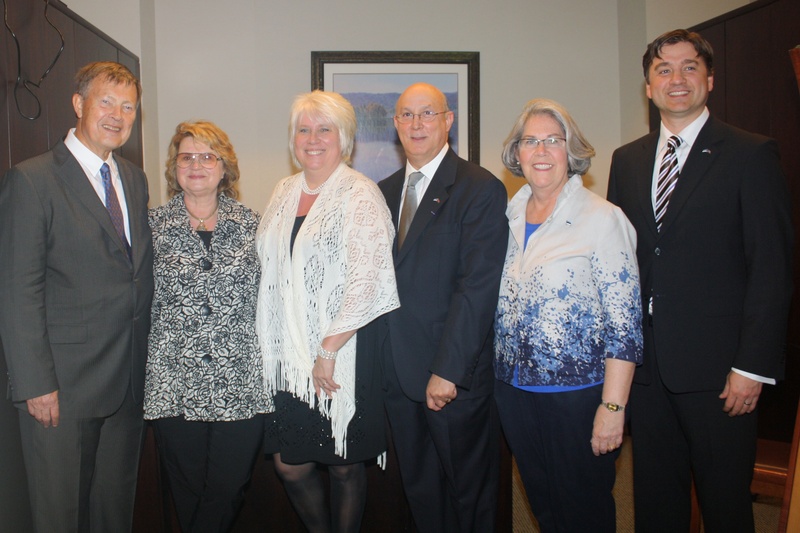 Presently, Estonian Honorary Consul Viera is a member of the Board of Directors of BAC Florida Bank. Currently there are fourteen Estonian Honorary Consulates in the United States. In addition to providing services to Estonians in the United States according to the directives of the Estonian Ministry of Foreign Affairs, Estonian Honorary Consuls promote bilateral cultural, educational and economic relations through Estonian cultural events, educational exchange, tourism, and business development. For more information about Estonia’s Consulate General and Honorary Consuls in the United States, please visit the web site of the Consulate General of the Republic of Estonia in New York City. For more information about Embassy activities, please visit the web site of the Estonian Embassy in Washington DC.